Lina Iordanaki is from Piraeus in Greece. Her first degree was in Primary Education and her master’s degree in Literature at the University of Athens. She is currently a 3rd-year PhD student in the Faculty of Education at the University of Cambridge. Her research areas include picturebooks, graphic novels, literacy and poetry for children. Her PhD thesis investigates children’s responses to wordless picturebooks. Tell me about your first school. I remember my primary school vividly. It was a very old, traditional 5-18 private school. My brother, who is six years older than me, and my mother also went to the same school. 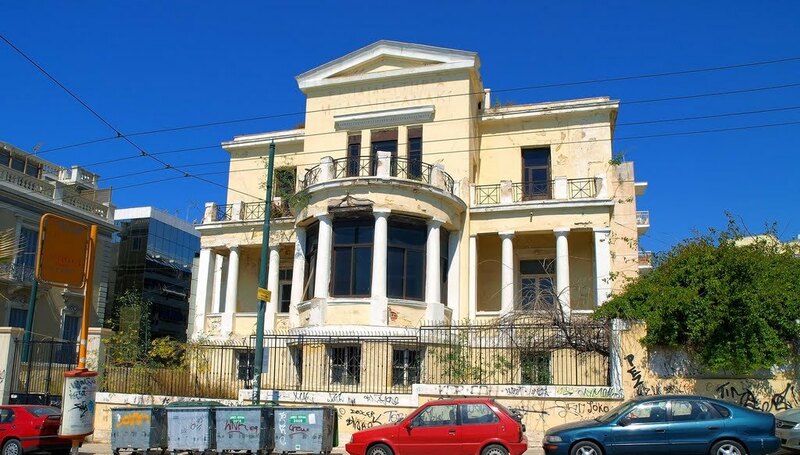 It was established in 1887 and it closed around 2002 and it was in the city centre of Piraeus in Greece. 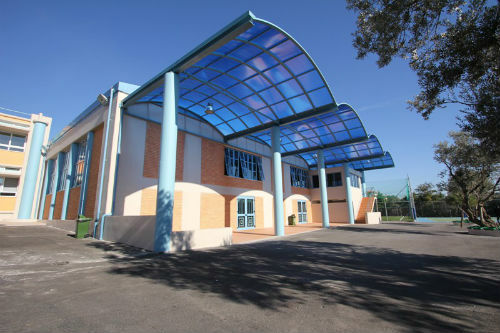 The facade of my primary school. There was a small square and a park in front of the main entrance but as young students we were not allowed to go out of the school grounds so we were restricted to staying in the school yard. Although I really wanted to go out I remember how much I liked that yard; it was spacious, with white lines on the ground and two tall basketball nets on each side, like on a basketball court. It was always very busy, full of students and teachers. We had to go down some wide, shallow stairs to reach the yard and when it was break time and we were eager to leave the classroom we would run down the stairs. I also remember inside our classrooms, especially the individual desks. The desks were colourful and had some space inside for us to store our books. In the 4th grade, my teacher split us into different groups according to the colour of our desks! The teacher’s desk was always in the right-hand corner on a raised step. A classroom in my primary school. Also, the blackboard was very different from what we see in classes today. It was a big chalkboard hanging on the wall and we had to use chalk and sponges to write on it. I remember how much I hated the dust from the sponge on my hands and how keen I was to go to the toilets to wash it off. There was a picture of Christ hanging above the chalkboard because, as I mentioned, the school was very traditional and religious. Did you learn to read at school? It depends on what you mean by “read”. I learned to read in the first grade at school when I was six years old. We had to go through each letter of the alphabet and by the end of the school year we could read and write short texts. I remember that our everyday routine was to begin each lesson with reading aloud short paragraphs, identifying unknown words or letters and doing spelling exercises. In terms of reading for pleasure and reading fiction, I think this started at the age of 7-8. I remember a young, motivated teacher who organised our classroom library. Did you have a school library? Unfortunately, I don’t think that the school had a separate library. Each class had a big bookcase and was responsible for its own books. I remember that every child had to bring 1-2 books to be left on the bookshelves for anyone who wanted to borrow them. However, apart from that bookcase, there was neither a specific place nor a book corner where the students could sit to read their books. We used to borrow the books and read them at home. Or read them aloud together with the teacher and our classmates while sitting at our desks. Looking back on this now, I believe it was not the best method and I wish we had a place to share and discuss books. Do you remember any specific places where you enjoyed reading as a child? I usually read at home and I remember two specific places there. My brother and I shared the same room when we were children and we slept in bunk beds. Obviously, my brother’s bed was the upper one; since he was older, he had the privilege to choose. However, during the day I could climb up to the top bunk and read my books. I had another favourite place in spring and summer. In Greece, the weather is almost always sunny, so I really enjoyed reading in the balcony! Do you think that the place where children read makes any difference to how they read and how they feel about reading? Yes of course. In my thesis, I cite Aidan Chambers who talks about “setting” and “set”. He claims that every “setting”, meaning any physical surroundings, influences the “set”, which is equal to one’s mental and emotional attitudes. Hence, the place where children read can make a difference to how they read. A bright and comfortable corner might look much more reader-friendly than a plain desk and a chair. Judging from my own experience, I still remember the sunny balcony of my house and the comfortable bed of my brother. I might not be able to recall many of the books that I read there, but I can’t forget the nice feelings that I had while I was reading. Was there a place where you felt especially safe and comfortable at school? Probably my classroom and my desk, where I had all my “precious” belongings. It sounds funny but most students were happy to spend time sharpening their pencils over the bin in the classroom. The bin was placed close to the door, away from the teacher’s desk. Therefore, the excuse of sharpening was very popular for many reasons: first, to escape for a few minutes from the teacher’s gaze; second, to take a peek outside; and third, to join someone else who was also sharpening a pencil. I also have good memories of the school yard and all the games that I played there with my friends. And was there anywhere that you didn’t feel so comfortable at school? I didn’t like it when I had to stand in front of the chalkboard, I felt kind of exposed. Although I liked my classroom, I hated the area around the chalkboard. I associate it especially with oral examinations or with boring maths exercises! Were there any private or secluded places in the school building? There was a small church inside the school and a theatre where we held all our performances. These were open only for services and for rehearsals respectively. Also, there was a staffroom where the teachers gathered during their breaks and we couldn’t enter without asking permission or without having a serious reason. How was the transition to secondary school? I moved to a state school from my private primary school when I was 12 and what drew my attention immediately was the graffiti on the walls of the school yard and the tall fences. My new school was not close to a park, so there was no green space at all, but it was only a 3-minute walk to the sea. The classrooms were bigger and the desks were double rather than individual. They weren’t brightly coloured either but painted a dull green. I remember that we scribbled on the desks, either marking our eternal friendships or our favourite team/actor/singer etc. Although my primary school was more organised and neater, I liked my secondary school because I felt that I was growing up and I needed this change. I think the main difficulty that I had to face was that my primary school friends were dispersed across different schools and we were no longer in the same class. 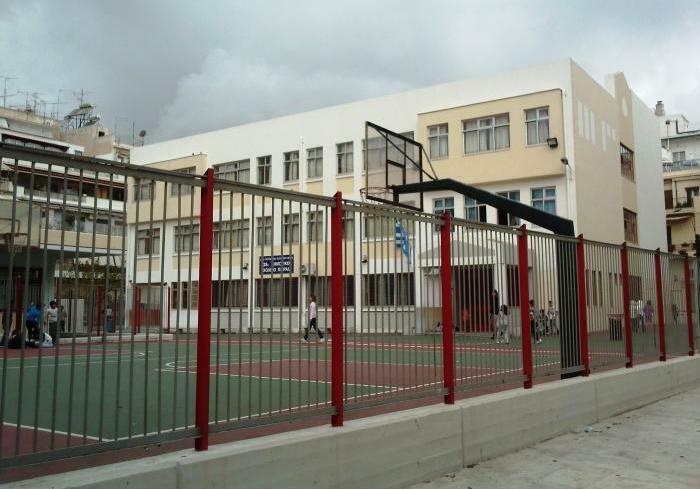 Tell me more about the architecture of school buildings in Greece. It is quite difficult to say because my experience is limited to schools in Piraeus and Athens. I guess there would be some differences between the schools in the smaller cities, islands and villages. The latter are definitely less crowded and closer to nature. Also, state schools are very different from private schools, not so much in terms of the quality of the teaching but in terms of the facilities and equipment. Ellinogermaniki agogi Greek-German private school. There are massive 5-18 private schools which resemble university campuses, with football pitches, swimming pools and plenty of space. This is what makes their buildings so much more impressive than the buildings of state schools. I don’t think that there are any state schools for ages 5-18 so state schools are smaller and are different for the reception, primary and secondary grades. Most of their buildings look similar; almost all of them have a big yard with basketball courts which are surrounded by fences. 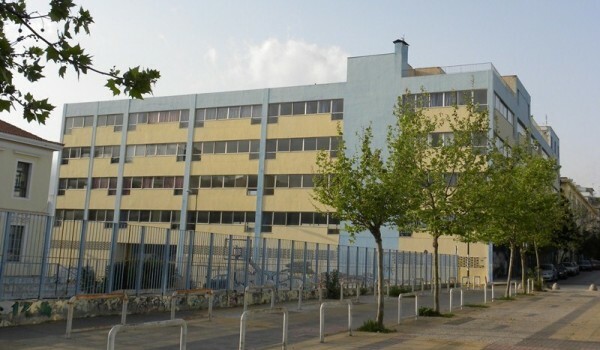 28th State primary school, Piraeus. 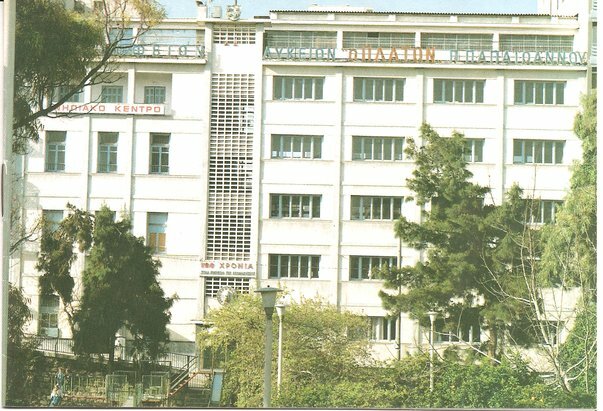 2nd State secondary school, Athens. When you first came to do your research in English schools what were the main differences that struck you from Greek schools? I have been to two state primary schools in the UK and I was impressed by the size and the facilities. 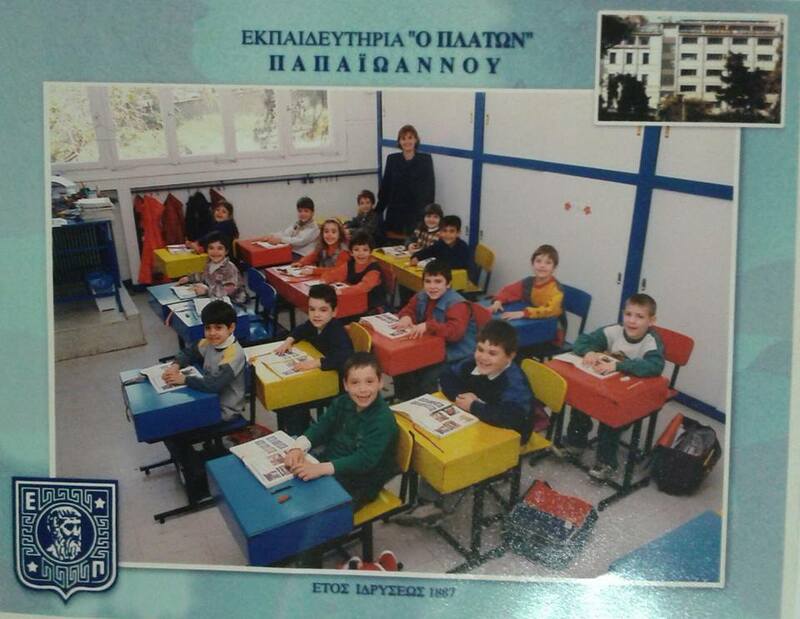 In Greece, it is the private schools that are bigger and better-equipped. Also, it felt strange that most of the sports activities take place indoors, whereas in Greece we take advantage of the outdoor area. As for the curriculum, it was a big surprise to me that there are no text books in the primary school and children use only their exercise books. In Greece, we have textbooks and workbooks provided by the Greek Ministry of Education. Also, in the UK students move from one classroom to the other according to their levels or subjects. The same rule applies to Greek secondary schools, but in primary schools, the students stay in the same classroom and have the same teacher for all their subjects. If you could change one thing about schools overnight, what would that be? I would like more colour and more light in the buildings, especially for secondary schools. In general, I think schools should look cosier, more like home rather than a working environment. And maybe there should be some common rooms for relaxation, with bean bags and rugs. As for the content of the education, I can only speak for Greek schools. Apart from the necessary updating of core subjects, I would say that children need to be informed about contemporary issues such as internet safety, social networks, and about more practical tasks such as cooking and economics. Also, I believe that team work is very important so I would make it sure that there are group activities for every classroom. Do you think schools will still exist in 50 years time? Yes! This question makes me think about the dilemma between e-books and paper books. I think nowadays both are welcome and there is room for both. It’s the same with schools. Indeed, technology can change a lot, but I think we need schools and their interactive environment. To be honest, I can’t imagine the world with no schools!